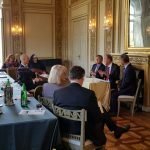 This week, the Ban Ki-moon Centre featured at an event entitled, “The 2030 Agenda – From Global Goals to Local Implementation” hosted by the Swedish Embassy in Vienna. 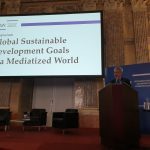 BKMC CEO Monika Froehler moderated the event and led a discussion on the SDGs and local implementation in Austria as well as around the world. 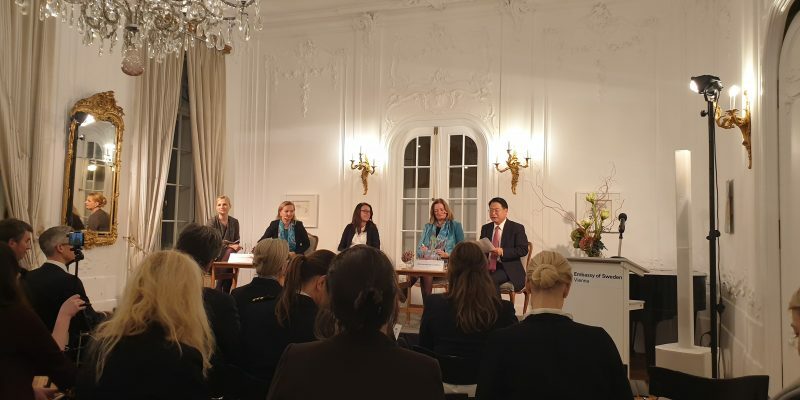 After the keynote, a panel discussion was moderated by BKMC CEO Monika Froehler, featuring DG Li Yong of United Nations Industrial Development Organization (UNIDO), Director-General Désirée Schweitzer of the Department for Development Cooperation at the Austrian Foreign Ministry, VP Ulrike Rabmer-Koller of the Austrian Economic Chambers and Director Monika Langthaler of the R20 Austrian World Summit. 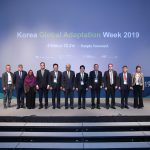 Experts from Global Responsibility, Sustainable Energy for All, and the IKEA Foundation also shared their expert insights. 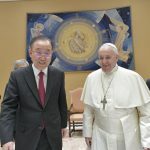 Overall, the event emphasized the need for more advocacy, finance, and innovation to achieve implementation of the SDGs and further global collaboration to reach the most marginalized communities. During the Q&A session, the “Youth SDG Advocates” provided by the Ban Ki-moon Centre for Global Citizens asked questions about the role that the international community should play in advancing the SDGs and how youth can be engaged and represented. Check out the full video of the event below!